The Delaware Health and Social Services(DHSS) campus is located at 1901 North Du Pont Highway, New Castle, Delaware. This campus, encompassing more than 100 acres, functions as the administrative headquarters for the Office of the Secretary and many of the Department's Divisions. 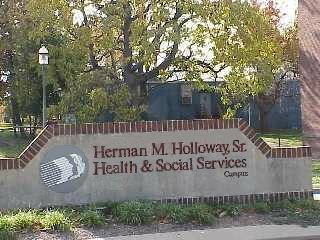 In addition, the campus also serves as the home of the Delaware Psychiatric Center(DPC), the only State-operated psychiatric facility for the care and treatment of mentally ill adults. Please click on the appropriate building or corresponding name of a building below for a listing of its divisions/services and for driving directions to the facility.